Ripple has made headlines for its many advancements and use cases, but it has also attracted attention for its connection with Hollywood A-listers. As more celebrities have embraced this cryptocurrency, more people will start to show interest in XRP. Pop culture can greatly impact how financial decisions are made. Because of this, Ripple has taken an intense focus on social impact and has got involved with various celebrities on various projects or occasions. At the Swell conference which was hosted by the Ripple company in San Francisco last October, the team invited a very important figure from the political scene. 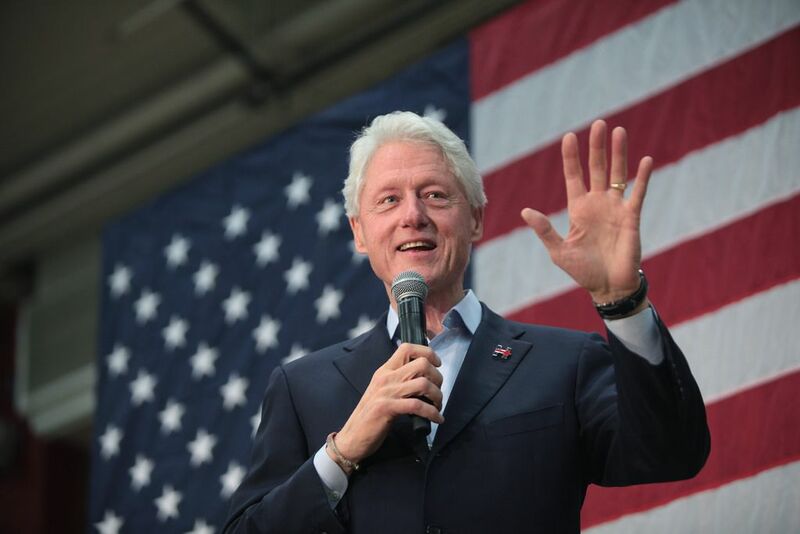 Former US president Bill Clinton was the keynote speaker invited by Ripple at their conference. Ripple cites that it was Clinton’s tenure that helped bring forth the adoption of the Internet, and made it into the essential tool that is now engrained in our day-to-day life. The fundraising was set to raise $60,000, but many more XRPs came pouring in, the charity amassing approximately $200,000. 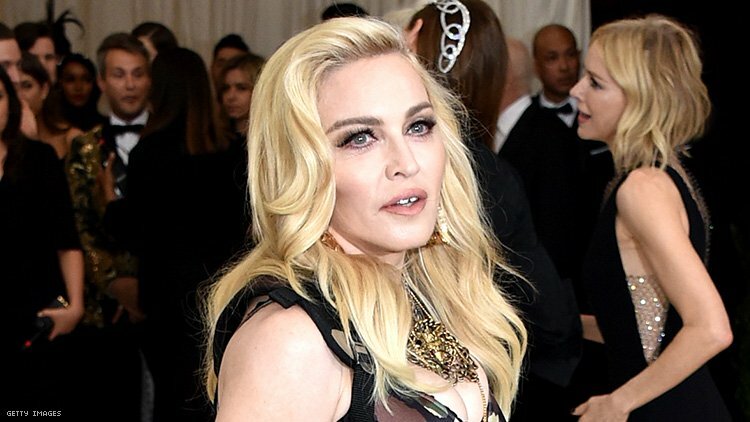 Ripple’s Senior Vice President of Business Operations, Eric van Miltenburg, expressed how honored he felt in partaking in the Malawi charity and that the company is “grateful to our investors at Sound Ventures for making the introduction to us and this important cause.” Oh, we should mention that Sound Ventures is Ashton Kutcher’s firm and that he and Madonna are friends. You can connect the dots from there. 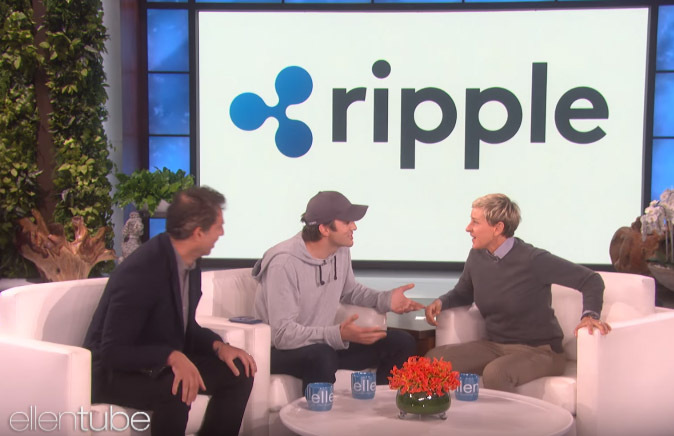 In addition to teaming up with Ripple back in May, he also made a TV appearance on The Ellen DeGeneres Show, where he donated to its talk show host $4 million in XRP for her birthday. In this process, he also showed the audience just how easy it was to make XRP transactions by using his phone. The transfer was done on-air in a matter of seconds, and the XRP was instantly sent to Ellen’s wildlife charity. “We found this company, and we thought it was really, really interesting, and it runs on this stuff. It’s called XRP, which is a cryptocurrency. Basically, it’s just a way to get value from here to there.”-said Kutcher on the show. It is hard to believe that after a $4 million XRP donation DeGeneres would not be tempted to invest in a few XRP for herself. The Ellen DeGeneres Wildlife Fund was established to help protect and conserve endangered gorillas from around the world. As DeGeneres is an active philanthropist and seeing Ripple’s past use in charity, the talk show host and XRP could possibly team up in the future. One of the most famous rappers of all time, Snoop Dogg, performed at his first New York Blockchain Week as a guest of Ripple’s to sing for their community meet up. The XRP Community Night event was held in order to celebrate XRP and its supporting fans and users. Snoop Dogg was booked to grace attendees with his godly flow, but the rapper did not make any statements regarding investing in XRP or the technology behind it. However, seeing as how outspoken the rapper is in general about his beliefs, he most likely would not have accepted the gig if he did not support Ripple in any way. 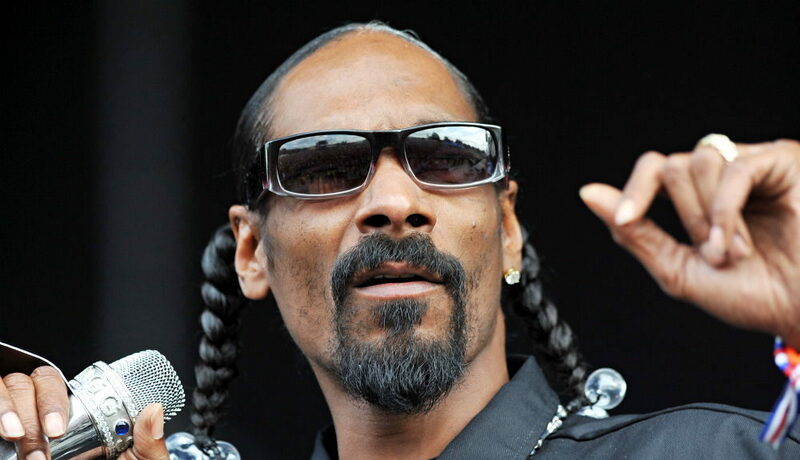 As you can imagine, Snoop Doggy Dogg was probably paid in a lot of cash, but maybe Ripple expressed its gratitude in giving him a few XRP. By getting celebrities to rally up support, Ripple Labs can make its way into the mainstream public, and also make the token more appealing to the average consumer. Pop culture can pave the way to global adoption for XRP. 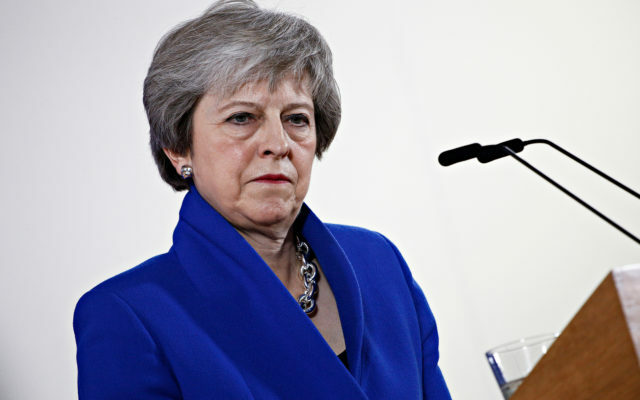 Previous articleIs Brexit Chaos Lifting Bitcoin Out of the Bear Market?